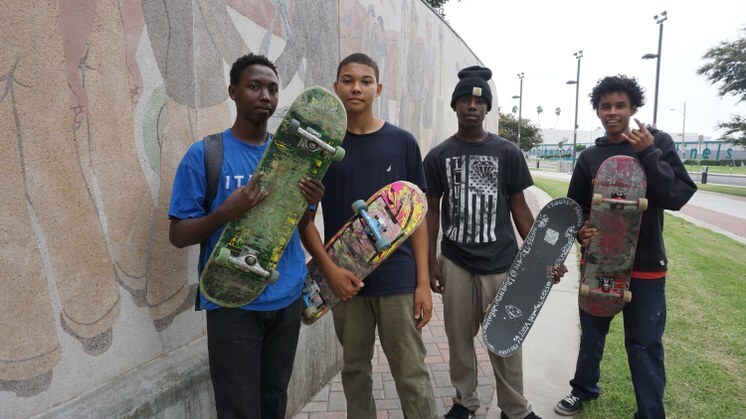 The African-American community in Los Angeles has been steadily shrinking and is now down to 9 percent of the population. South L.A. is majority Latino now, but it is home to a few neighborhoods that are majority-black, some of them solidly middle-class. Those areas are a source of pride to the African-Americans who live in them and residents are watching nervously as gentrification pushes white homebuyers into their communities. 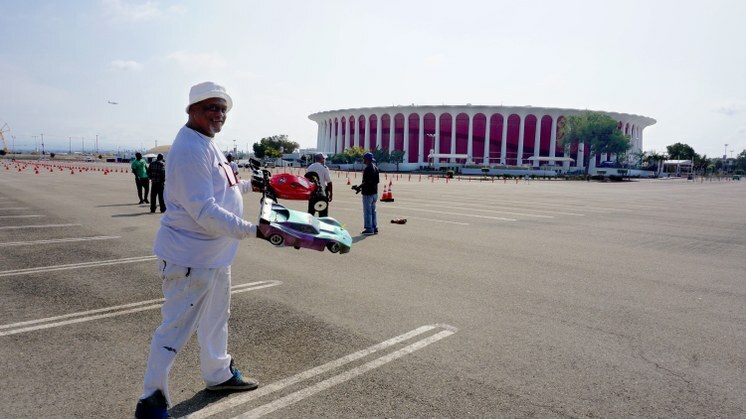 Find out how Inglewood has changed. In Inglewood, developers see an opportunity for new luxury housing close to big tech-job centers near the beach. 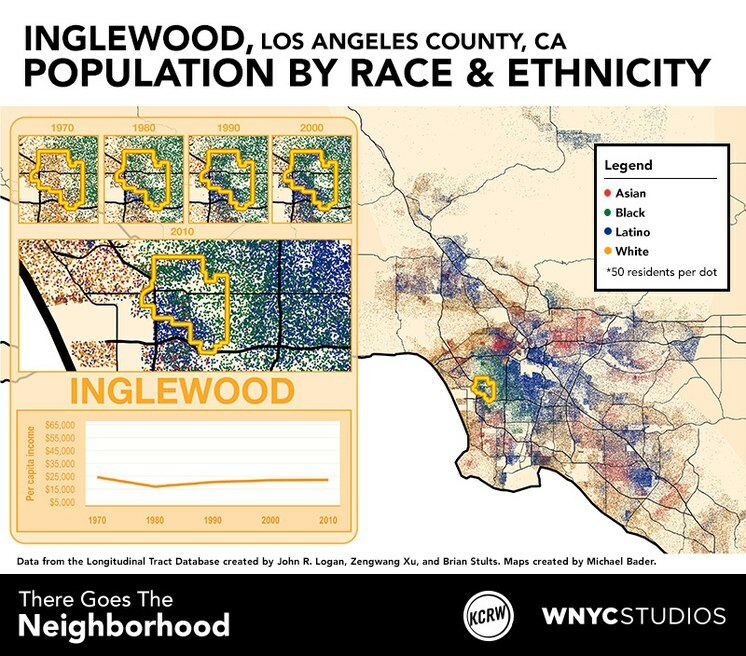 Once a whites-only enclave, Inglewood became a mostly African-American city when racial housing restrictions were lifted in the 1960s. Thousands of Latinos have moved in since. Now a light rail line and a $2-billion football stadium are under construction there, rents are going up, and people in Inglewood are waiting to see whether white people will come back. 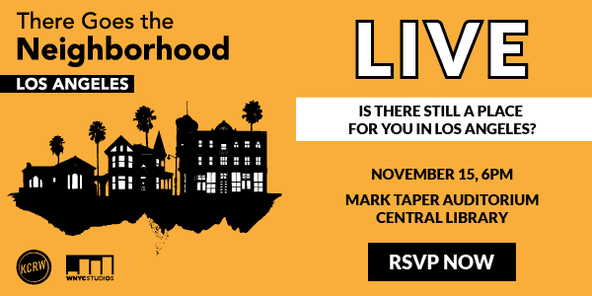 For Inglewood resident Erin Aubry Kaplan, the change would mean an increase in her home’s value but at the expense of a unique cultural space. “I got an email from my neighborhood listserve,” Kaplan says. "Someone just sent out a message: don't sell your house. Don't sell your house, stay put."